Any time you are set for an outdoor adventure with your bike, you should always think of a waterproof motorcycle bag. With the bag you get the advantage of soft luggage- lightweight and compact size with the simplicity of having a single layer of weather protection versus rain cover or separate waterproof liners. You never know what may become of the day as the weather is usually very unpredictable. With a waterproof motorcycle bag, you can be able to handle any surprise downpour at any time. The best thing with this waterproof motorcycle bag is that even when you are out camping, you can leave your stuff outside without having to worry that they’ll be rained on. There are things that you need to know about this bag. First, the size of your bike does not limit your carrying capacity. Secondly, they have no zip but they are made with a roll-top design, uses radio frequency welding seams, some have rigid core while others do not have, sometimes using multiple bags make sense than using one. If you are out there hunting for a waterproof motorcycle bag, look no further as we have the best in our online stores. Keep your stuff dry while out on an adventure with this amazing bag. It is made from high-quality materials and you can rest assured that it’ll serve you for a long time. Many bikers prefer leather saddlebags because of its durability and designs, but these bags are prone to the elements. Thus, care and maintenance are imperative, if not, you may just lose your precious bag. It is important to note that covering your bag with a motorcycle cover when your bike is parked helps. It prevents the sun and rain from causing damage to your bag. To clean leather saddlebags you will need two microfiber towels, lukewarm water, leather shampoo, and leather conditioner. First, dampen one microfiber towel with lukewarm water, then pour a good amount of shampoo on the damp towel. Rub the shampoo into the saddlebag, paying attention to areas with excessive stains and dirt. When you are done, follow the instruction on the shampoo to know whether a rinse is necessary or not. To the second towel, pour an ample amount of conditioner, rub-in with a smooth rubbing motion. The leather will begin to look and feel soft. Allow the conditioner to penetrate for some minutes before you wipe off with the dry part of the towel. Apply another round of conditioner if the weather still feels dry. You will notice your leather saddlebags have a new look. With the increasing usage of motorcycles, saddlebags have become a necessity not a luxury. The overall criteria your waterproof ATV saddle bag must meet is security. It should provide security for both you and your luggage. You may see so many cheaper saddlebags, but if a bag does not meet this fundamental criteria, its not worth your time. Meanwhile, your waterproof ATV saddle bag should provide a complete solution. Three things make up a complete solution and a rider you must know these. First is the ability for the bag to be mounted. To do this, the bag has to have mounting hardware. It is not ok to tie your waterproof ATV saddle bag to your back fender. This can cause serious accident and even damage your fender. The next point is the ability to lock the bag. You would want peace of mind whenever you are away from your bike right? The last is ease of access. When you need to, you would want to access your items easily. Quick release buckles takes care of that. Some bags will require that you unbuckle and buckle before getting to your stuff. Instead, choose ones that are really easier to access. Why do riders need motorcycle saddle bags? While many people are using motorcycles to transport from one place to another, motorcycle saddle bags become an absolute necessity. It provides the best solution for rides to carry their belongings and needs. What could possibly fit in your backpack can be securely carried in quality saddle bag. You need to consider certain factors before buying motorcycle saddle bags. The riders and their luggage’s security and safety should come first. Therefore, you need to determine and decide what kind d motorcycle saddle bags can be adjusted and mounted securely, locked and easy to access on your motorcycle. The absence of one of these can lead to potential danger and harm to the riders and their belongings. Try to invest in a good quality motorcycle saddle bag, they are made with the intent for longevity and durability and they definitely will ensure you safety and comfort. There a wide range of saddle bags, each is designed for a certain purpose and function and depends of the make and style of your bike. These bags can have waterproof exterior and attractive designs and styles. And if you want to enhance the look of your motorcycle, you will want to consider color matching your saddle bag with your bike. Now that the colder weather is here, I have been excited to enjoy the crisp air and not being exhausted by the heat the second that I walk outside. I admit that it feels really refreshing to be enjoying the colder weather, even if everyone around me is complaining that the sunny days are gone and that we are getting ready for a long season of rain. Finding some great saddlebags will be awesome for my adventures so that I can have my things with me and organized and not worry about how I will take my luggage with me safely. The right saddlebag will give me plenty of room for my things without being bulky or taking up too much space. I can’t wait to have a new saddlebag for my rides among the fall colors. Shopping saddlebags for motorcycles online means that I can get something that will hold its shape and that will remain waterproof. I have had my eye on one that gives me UV protection and that will not get ruined if it is used in hot weather. This saddlebag will help me to get my stylish protection started off right for the fall season. There aren’t too many saddlebags that make the cut when it comes to my riding needs, but there is one bag that is always ready for my journeys. I have been using an Xelement saddlebag that combines country durability and city style in the best way possible. This bag is great for the rugged open road or the urban streets. I have been using the saddlebag for a while now and it is always ready to accompany me on a journey on my bike. I like to ride around the city and to go on some cross-country road trips as well. The bag is great for some riding for pleasure or for getting to work. I like that the bag is roomy and that it has some serious attitude as well. 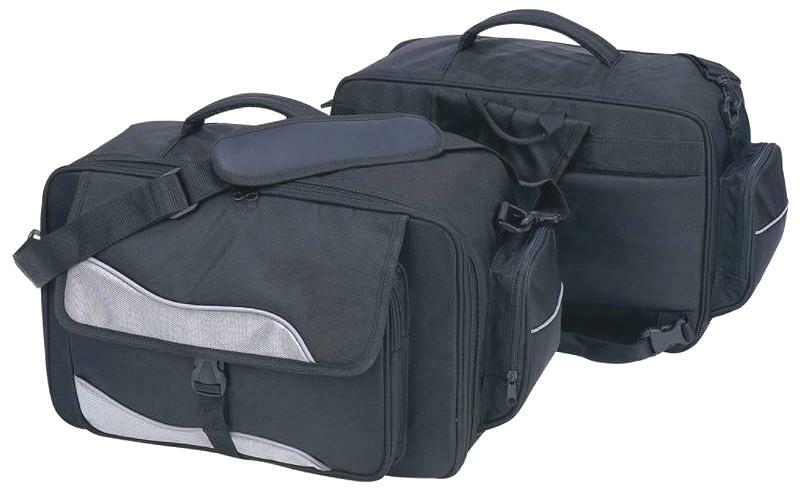 Xelement saddlebags are saddlebags that I would recommend to all of my friends and family. The stud accents and eagle emblem make the bag look awesome, while the quick release buckles make it easy for me to get things out in a snap. I enjoy taking the bag with me whether I am riding to the office or I am enjoying a fun night out in the city with my friends. Getting ready for a fun adventure on my bike is easy when I can find some great saddlebags to enjoy for all of my riding needs. I love to find some nice saddlebags online no matter what kind of journey or adventure that I want to take on. 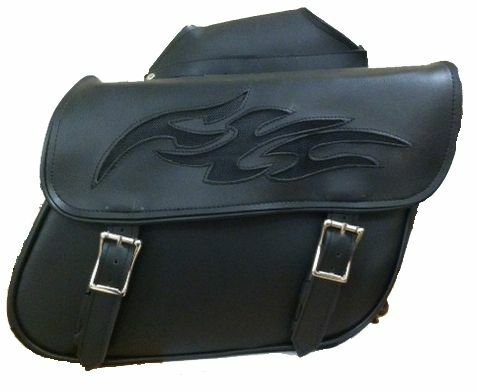 Getting some hard saddlebags ensures that I can have a bag that is ready to stand up to anything. I have been getting some great saddlebags like the one that I got online recently. This bag has been ideal for taking with me for outing after fulfilling outing. This bag has been nice for ensuring that I get the most bang from my buck. The bag features plenty of room for those longer journeys and it is a hard bag that has some serious style. I am always ready for adventure with my hard saddlebags. They are just what I need to ensure that I can have a memorable journey and not worry about having enough room for my things or about the bag falling apart. The saddlebag I got recently is reflective as well, so I can have great visibility at night. The bag holds its shape too, which is always nice. I enjoy having some great journeys on my bike, whether I want to take it across the state or to my favorite beach. It is nice having a bike and I can always find some great ways to make my motorcycle the best riding machine that it can be. The right gear for my bike makes it easy for me to stay organized and safe whether it is day or night. Some nice saddlebags have been a great choice for me when it comes to riding my bike. The saddlebags that I got recently keep me safe as it gets dark, as they have reflective striping on them. The bags are roomy and they are ideal for a weekend journey. They have mesh pockets and a nice rectangular design as well. With my leather motorcycle saddlebags, I can enjoy having the kind of organization that I need. I like that the bags have a shoulder strap, so they are easy to use off the bike, and that they are zippered so I don’t have to worry about anything falling out. The bags can be used as one set or they can be used separately. I feel safe and secure on my bike when using these bags. I have been looking for some great bags for my bike and I am excited to get some nice ones that will stand up to all kinds of weather conditions. The right bags will ensure that I will be ready to ride and to have the best time doing it. 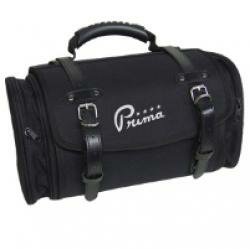 I have been finding some great options online when it comes to getting some reliable bags. The waterproof bags that I have been finding online will be perfect for some fun journeys on my motorcycle. I love that I can choose the perfect bag for my personality and my needs online. I can get some great deals on the bags as well. 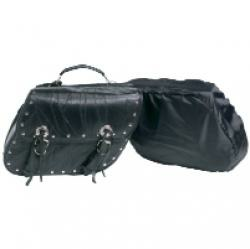 I have been looking at some great waterproof saddlebags that will give me great storage. Getting some hard waterproof saddlebags will help me to have the kind of fulfilling riding experiences that I want to have. I like to get some hard bags because they can take whatever the day will throw their way and I don’t have to worry about them falling apart easily. The bags will be a nice addition to my riding accessories. I am excited to start some great motorcycle journeys this year with some nice saddlebags.